What does Consider Haiti do? Over the years Consider Haiti has worked to develop interconnected, self-sustaining programs within the Haitian infrastructure. We actively support local Haitian teams for implementation of each step. With the help of teams of volunteers and the local support of our generous donors from Asheville and around the United States, Consider Haiti continues to promote the health and welfare of the children of Haiti, one child at a time. Using local health agents, we enroll malnourished children in a six month program to rehabilitate their bodies. We provide food, nutritional supplements, deworming medicine, and vitamins. We also offer guidance on improving health and wellness for their families, and we connect them with the other components of our program. From nutrition to clean water to medical care, we work to make sure these children and their families have access to life-saving resources. This program involves the distribution of goats, rabbits, and other agricultural products to impoverished families along with instructions on how to use these resources to build sustainable sources of food and income. Consider Haiti breeds Haitian female does with a Nubian Boer buck to attain hearty offspring adapted to local conditions. They are delivered to families in Montrouis, Fond Baptist and Ivoir. We work closely with the families in the Community Health Program to ensure that they receive the gift of the goat and are able to utilize future offspring for nutrition, milk income and school tuition. Most Haitians lack access to clean water, and as a result they are forced to drink or use contaminated water for food preparation. This leads to widespread acute and chronic illnesses and is a major cause of death and misery. To combat this problem, we provide water filters effective in removing suspended solids and most pathogens to each family with a child enrolled in the Community Health Program. Water filters are a staple in our fight towards better health. We routinely organize and send teams of medical volunteers to Haiti to provide medical care. 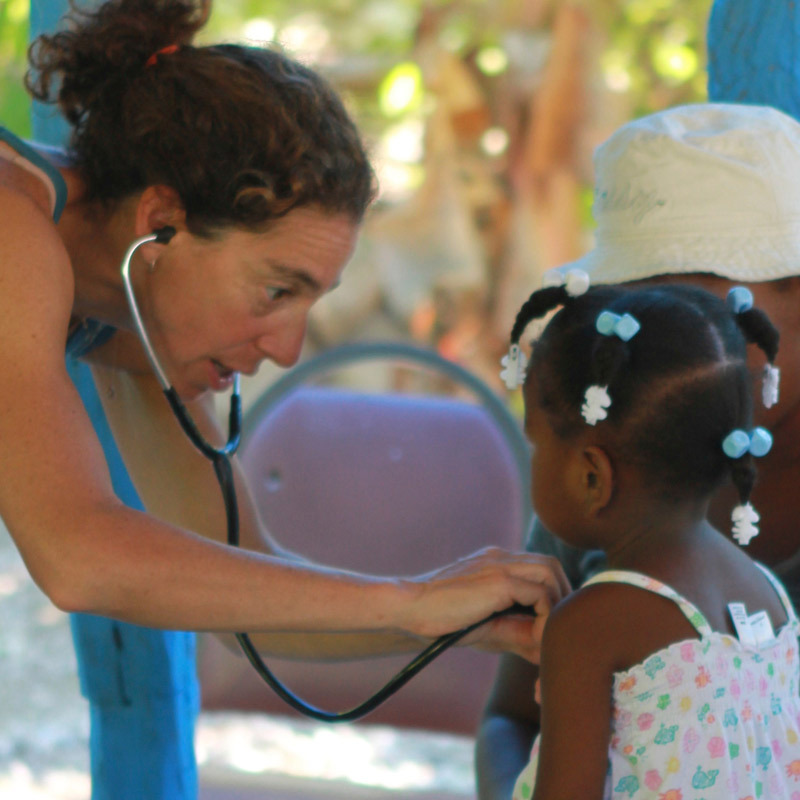 These teams provide week‐long clinics for Haitian children. In the mountain villages where we hold pediatric clinics, we are typically the only healthcare these children receive each year.. More than a thousand children are seen during each of these medical trips! All trip participants pay their own airfare, room, and board.